Experiential continues to be a heavily invested tactic for marketers year after year. Statistics show that 79% of brands say they will execute more event and experiential programs this year compared to last year. (EMI & Mosaic). Marketers, then, are challenged with developing programs that stand out from the mass and authentically engage their target audience. Throughout the year, we photographed and filmed hundreds of experiential activations featuring a breadth of consumer interactives; some that flew under the radar, others tried and true that we continue to see each year and then the select few that set the bar for us in 2018. Whether through innovative tactics, personalized programming or a unique approach, the barometer to level up is set high, as our team qualified our top selects by “experiencing” these touchpoints through the professional content we created, rather than as the consumer on site. If we felt an impact through the visual content, then those who interacted in real time certainly experienced it tenfold. SO WHICH CONSUMER INTERACTIVES FROM 2018 TRANSCENDED BEYOND THE PHYSICAL EVENT AND RESONATED WITH US AS THE MOST INNOVATIVE? 1. Grow with Google: Make Your Consumer Feel Invaluable. In this instance, we’re citing the entire driving force behind the program as the innovative tactic. Grow with Google provides free training, tools, and events to help you grow; and in doing so, aims to engage and empower many local, small business owners. Some of the markets we supported in 2018 included Lenoir, NC, Wichita, KS and Columbia, SC; cities that don’t typically make it to the top of the list for brands to activate in. There’s no question that Google can find success in any big market simply from brand recognition, so why the small market approach? The unique element here, is that they decided to stay hyper-focused in smaller markets to drive their influence, and in doing so, communicated how much they value their consumer as an integral part of the business by providing them with free tools to succeed. Don’t dilute your audience. It’s OK to not speak to the masses; in fact, by curating to a smaller group of people you may get more buy in and value because those who are interacting with your brand feel important. Focus on narrowing the playing field and provide a meaningful and useful experience - in this case tools, 1:1 trainings and small events - that further drive and validate Google as their brand of choice. 2. Mrs. Meyers Clean Day Tour: Amplify the Memorable Experience Through Doing Good. The entire purpose behind experiential marketing is to create a memorable experience for your consumer in order to elicit an emotional response, so as to influence that person at the point of purchase. How then, does a brand determine the best and most authentic way to connect with your consumer on an emotional level? 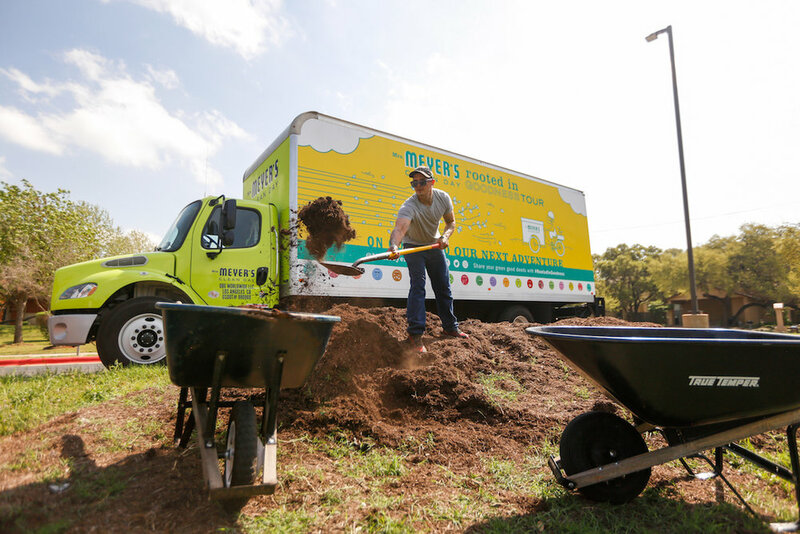 Mrs. Meyers looked inward at their brand ethos and knew that drawing a connection to their commitment to “making the world a greener place one garden at a time” would not only speak to the brand’s values, but also engage their demographic in a meaningful way. Each activation was centered around an act of service such as improving the grounds at a local community center through gardening and maintenance. The connection couldn’t have been more perfect for the brand: Mrs. Meyers created opportunities to carry out their commitment AND what is the first thing you have to do after digging your hands in the dirt? Wash them, of course! Hand washing stations were set up at each community service location, enabling attendees to interact with the product in a “wow this couldn’t be more perfect” authentic way. Look inward to your brand’s values. Chances are, you’ll find an opportunity to spread them in a way that resonates with your consumer. For Mrs. Meyers, those who participated in the experience will forever tie the brand to the amazing emotion they felt after dedicating their afternoon to a good cause. 3. Sea of Thieves: Break a World Record. Breaking world records is a thing that people get jazzed about - there’s definitely a cult following - but you don’t have to be a member of the cult to find excitement in the thrill of making the history books (Guinness’ history, that is). This past fall, Microsoft Studios decided to promote the launch of their new video game, Sea of Thieves, through the live-stream of an attempt to break the world record for farthest distance achieved of a human shot out of a cannon. WHAT!? No need to drive home the correlation between someone being shot out of a cannon and a video game about pirates….the point here is that the brand aimed to do something risky that could have failed, but the thrill of the attempt was enough to make the effort worthwhile. Be risky! In this case, the brand wanted to make a splash (pun intended). In fact, the concept was so compelling that the brand didn’t even have physical consumers on site to experience the record breaking moment. The brand built up buzz and momentum, and shared the event with their target demographic through a livestream (which by the way, is smart in and of itself because they reached their consumer base through digital; a platform gamers are quite familiar with). In case you were wondering, they broke the record! 4. Alaska Airlines: Experiential to Drive Employee Engagement. We’ve seen more and more how companies are employing an experiential approach to their internal events in the B2B space. Conferences are being held to a different standard these days, and tend to fall flat if they’re not bringing unique experiences to the table. Alaska Airlines, however, took this trend one step deeper by applying experiential to their internal training approach. With the help of Opus Agency, Alaska Airlines built out an interactive training facility for employees to physically interact with the elements and features important to the company. Uniforms were hung on display for employees to touch and see, a team-building exercise to create a unique art piece with everyone’s contribution was featured and they also hosted a company store with branded merchandise. Alaska Airlines invested in their team and created an opportunity to strengthen the connection between employees and the brand they work for. They created an experience tied to training rather than handing out content in a classroom or handbook. Inherently, experiential succeeds when it “thinks outside the box” so take that same concept and apply it to other practices. 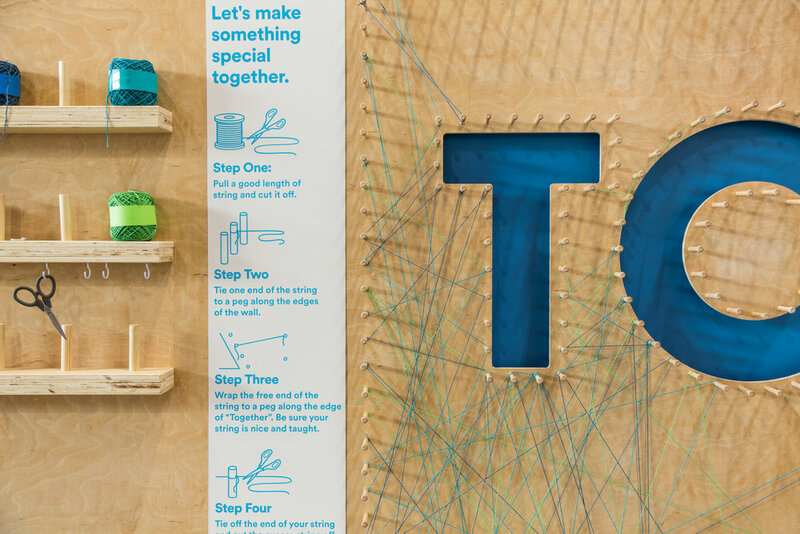 Experiential tactics don’t always have to be used in a B2B or B2C setting. How can you incorporate the concept of creating a memorable experience for someone in other arenas? 5. Progressive Insurance Motorcycle and Flo’s Chop Shop: Stay Consistent. This program is abound with unique, creative and VERY targeted experiences designed specifically for the motorcycle enthusiast: Progressive Motorcycle Insurance’s target audience. From airbrush tattoos to an old-school shave and a boot shine, the consumer interactives couldn’t have been more perfectly designed to create an engaging and memorable experience for those who are important to the brand. The activation, however, launched in 2016. Since then, the brand has been bringing the same footprint (with minor variances) around the country to targeted events AND THAT’S OKAY. The activation works, it has won awards and received press touting its creativity. Most importantly, it resonates with their audience and offers opportunities for them to create content on behalf of the brand. Once you find something that works and resonates STICK WITH IT. You don’t have to reinvent the wheel every time. Do you need A professional Photographer or Videographer to capture your Content-Worthy Activations?